etc. 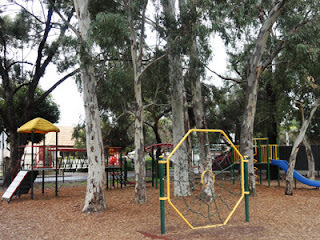 Council maintains the oval surface and the playground. As you walk into the school ground at the back of the reserve all the mess in this location is the reposibility of the school. Council agreed to do a one off tidy up of the native garden area in the s-e and n-w corners.This should be completed soon.